Are you a VP of Sales, VP of Global Sales, District Sales Manager, Senior Account Executive, Account Executive, Sales Manager, Sales Executive, or other sales leader? We are big fans of the folks who sell technology solutions. Not only do they have a solid understanding of the technology products, solutions, and services they sell, but they have to be crack sales pros and, if they manage sales teams, excellent managers as well. Not a blend of skills everyone has. A significant percentage of our client base is people who work in technology sales. 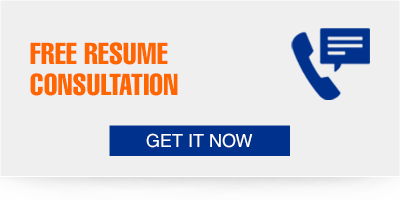 We write VP of Sales resumes, Sales Executive resumes, Sales Director resumes, Technical Sales resumes, Sales Engineer Resumes, Sales Manager resumes, Pre-Sales Engineer resumes, and many others. Because technology sales manager resumes live or die by the numbers, you must have good metrics to demonstrate the growth you've produced. Be sure to include EVERY good number you've got. It's great to present them in a chart or graph to show growth. The numbers alone ARE NOT ENOUGH! Many people can claim good metrics. What you need to do is put your sales achievements in context, while conveying your knowledge of your product(s) and the technology environment you are selling into. Also indicate any awards or other comparisons to show how you've outcompeted other sales managers or account executives. If you direct a sales team, then your leadership, management, and team-building skills must be demonstrated as well. Use the Challenge-Action-Results format to convey these skills. We love to write technology sales resumes, because we can design visual elements that give our clients tremendous competitive advantage amidst a flood of other resumes loaded with numbers. Click on the link for a checklist of 15 HURDLES YOUR EXECUTIVE RESUME HAS TO CLEAR in order to be viewed and acted upon by hiring managers or recuiters!